Hello and welcome to the One Credit Contest!! It's a competition to see who can get the farthest in a game on a single credit. 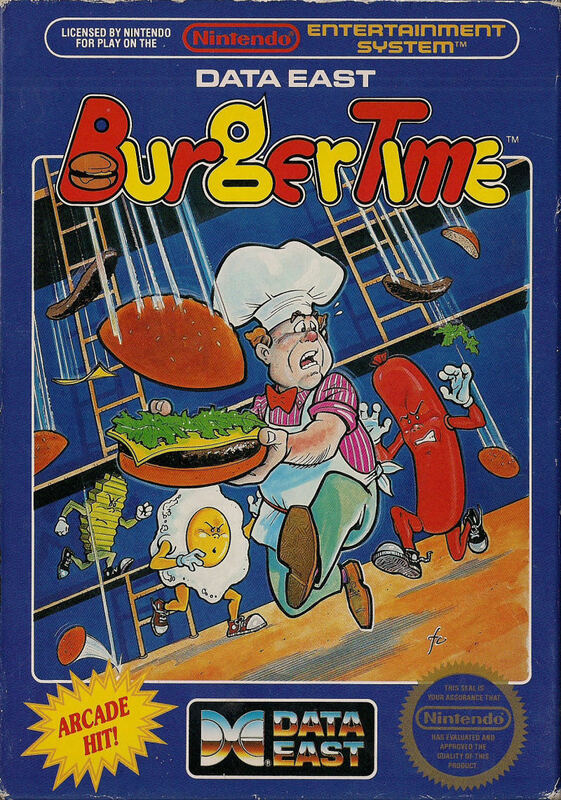 This week, we will be playing Data East's BurgerTime! I will maintain a leader board in this post, and about one week from now the winner will be decided. Progress is measured by the stage reached, then by score as a tiebreaker. 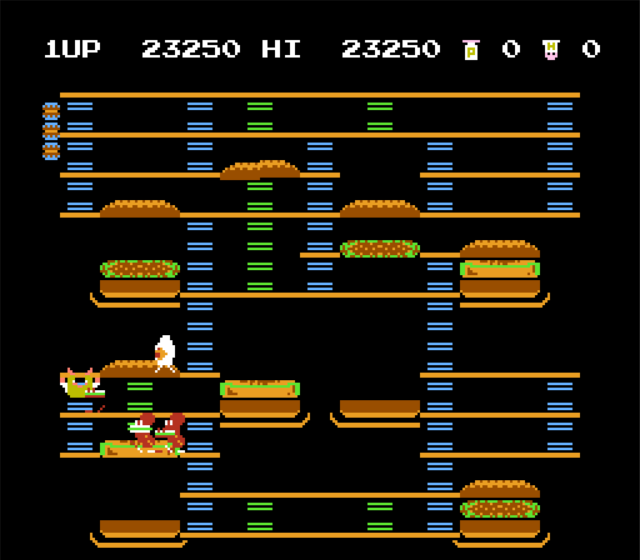 Your stage is represented by the burger icons along the left side of the screen. The winner gets to choose our next game. Last edited by mushroom on Sun Oct 14, 2018 3:24 pm, edited 11 times in total. 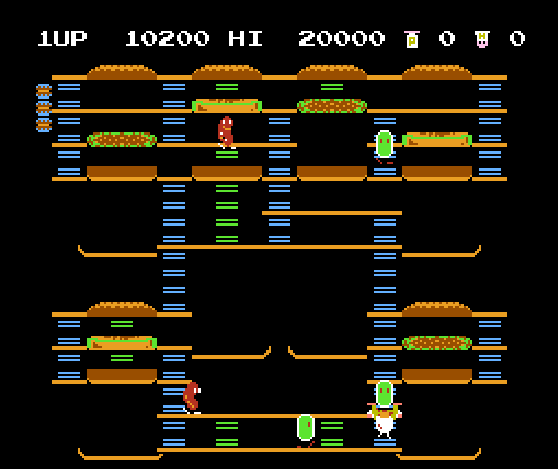 Aww man, I'd forgotten how easy it is to get stuck on the ladders. corrected a rule in the OP, you should say which stage you reached when you post, not the stages you've completed. e.g. if you die on stage 4, put stage 4 on your score entry. Got this yesterday but apparently it didn't post. I need to remind myself to play this later today, now that I've got some free time. Things sure get difficult once you run out of pepper. I should probably look up how the points system works. buihhh I guess this is over!! Congrats S1x !! I can't mention you for some reason! Please provide us with a new game.